When Moriah Barnhart’s 2-year-old daughter Dahlia was attacked by intense tremors, fever and nausea in May 2013, she rushed the girl to a Tampa emergency room. A week later, after surgery for an aggressive and cancerous brain tumor, Dahlia couldn’t eat, walk or talk. Three weeks later, her left side partly paralyzed, Dahlia was moved to St. Jude’s Children’s Research Hospital in Memphis for experimental treatments. She soon stopped breathing, a device had to be implanted in her skull to drain excess fluid, and her chemotherapy drugs had spread sores throughout her mouth and gastrointestinal tract. Subsequent treatments caused nerve and brain damage, vomiting and weight loss. 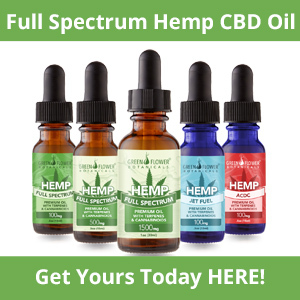 Finally, after six months, Barnhart decided to try alternative treatments, ordering whole-plant extract cannabis oil sent to St. Jude’s and giving it to her daughter through a syringe. Dahlia, her mother said, awoke the next morning with a regular appetite after sleeping for more than a few hours for the first time in her life. Marijuana is illegal in Florida in all forms. But at that point, Barnhart said, “there was no looking back.” In 2014, Barnhart founded CannaMoms, an organization that helps parents get information on medical cannabis, raises money for families and research, and petitions for the federal reclassification of marijuana. Prompted by their children’s suffering, parents have risked prosecution and uprooted their families to use medical marijuana, sometimes leaving states where it is not legal for those where it is. And some, like Barnhart, have added their voices to the debate over legalization, becoming vocal advocates in states across the U.S.
Cannabis is a Schedule I drug in the eyes of the federal government, meaning it is found to have no accepted medical use and a high potential for abuse. Other Schedule I drugs include heroin and LSD. Despite that status, 23 states and the District of Columbia have legalized marijuana for medical purposes. More are expected to vote on legalization measures in 2016. Medical marijuana treatment for children has been a relatively small part of the national discussion surrounding the legalization of cannabis for medical and recreational purposes. Motivated by the health of their children, parents are organizing to accelerate medical research and the legislative process. In doing so, they sometimes skirt state and federal laws in search of relief for their children. The American Academy of Pediatrics (AAP) opposes the use of medical marijuana in children except in end-of-life situations or when all other treatments have failed. Still, research is being done into the potential medical benefits of cannabis in both adults and children. The National Cancer Institute has acknowledged marijuana’s potential benefits in treating chemotherapy side effects in patients. Stories like Dahlia’s, meanwhile, are largely the anecdotal byproduct of parents who have treated their children experimentally. Experts say that until definitive research of marijuana’s medical usefulness is produced, it is unlikely that medical associations will endorse it as a treatment — and its federal status will remain. As medical professionals wait for more conclusive evidence, parents are organizing to educate their communities and lobby government to change the stigma surrounding cannabis consumption for medical purposes. Thalia Michelle’s son Lance was diagnosed with autism right before his third birthday, showing signs of aggression and hurting himself. Michelle, a self-described Republican in Austin, Texas, had never considered using marijuana to ease her son’s symptoms until Amy Fawell, a member of her support group for parents of autistic children, suggested she investigate cannabis treatments. She began giving him hemp oil, which is legal to purchase, but not produce, in the U.S., orally. “It opened up the entire world for us,” Michelle said of her son’s reaction to the treatment. 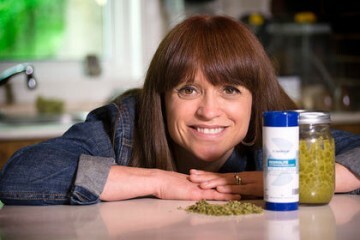 Michelle and Fawell went on to start Mothers Advocating Medical Marijuana for Autism in March 2014. They lobbied to make autism a qualifying condition for medical marijuana; a bill passed by the Texas legislature this year only allowed CBD treatment, which uses cannabidiol for intractable epilepsy. Elsewhere, parents have reached across state lines to try to break down the federal barriers to medical marijuana access. The Parents Coalition for Rescheduling Medical Cannabis is made up of parents from Georgia, Alabama, Nebraska, Iowa and other states, many who worked toward legalization in their own states or moved to states where it is legal or there is better access to treatment. They hope to remove marijuana from its Schedule I classification to facilitate research, increase access and let families that have become so-called “refugees” return home. Barnhart, meanwhile, says CannaMoms has been opening chapters across the country, and hopes to raise enough money in 2016 for a human study of the benefits of medical marijuana in the U.S. While there have been studies on the plant’s potential to treat chemotherapy side effects, there have been no clinical trials on humans for marijuana treatments for cancer, according to the National Cancer Institute. Many of these parents continue treating their children with medical marijuana while risking criminal charges of child endangerment — even in states where medical marijuana is legal. State child protection agencies have the authority to take children out of situations deemed dangerous, such as environments with controlled substances, according to experts. I marijuana is obtained by a parent illegally or bought legally by a parent and then administered to a child, protection agencies could intervene. After Dahlia began the cannabis oil treatment, she was slowly weaned off morphine, drugs for neuropathic pain, nausea and vomiting, and appetite stimulants. Barnhart moved her family to Colorado — after agreeing to continue less harsh oral chemotherapy and blood tests — for better access to cannabis oil. 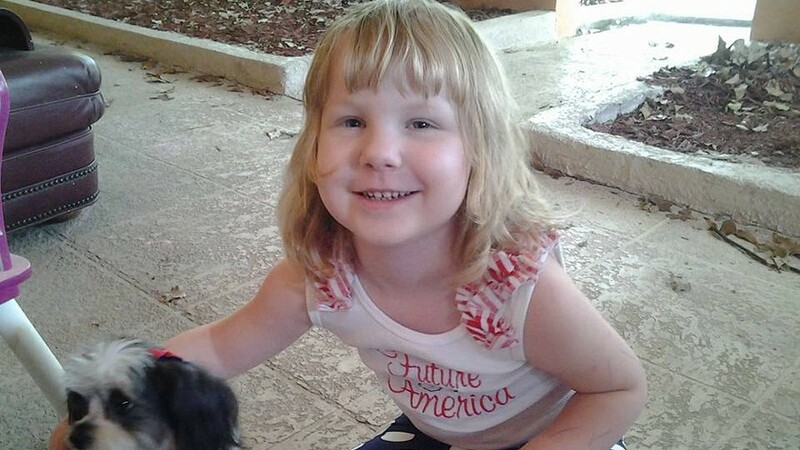 Dahlia’s chemotherapy ended in June 2014, but Barnhart kept her on the cannabis oil. In the 12 months that followed, Dahlia’s MRI tests continued to show tumor shrinkage. The family moved back home to Florida, where access to cannabis oil was more limited.